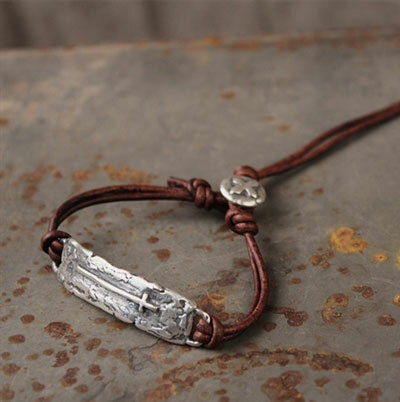 The HE LIVES Bracelet is a combination of leather and silver making a perfect look for a man or a woman. A long cross lays on top of a rustic plate attached to a double strand of leather on both sides with a cross button for a closure. 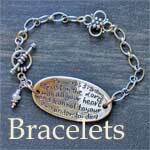 This bracelet can be adjusted by moving the knot out or in to size appropriately. He walks with me and He talks with me Along life's narrow way.